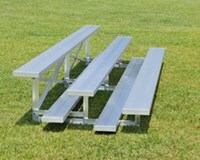 Quick Ship Bleachers 21 Foot 3 Row Aluminum Bleacher, 332 lbs. 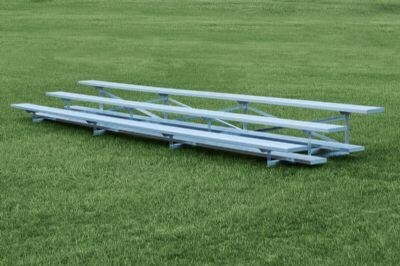 This 21 Foot Quick Ship 3 row bleacher is in stock and ready to ship! Seats up to 42 people for sporting events or schools. Features 2" x 12" anodized aluminum seat planks and 2" x 10" foot planks. This 3 row tip and roll bleacher can be used indoors or outdoors for event seating.